The most important things you need on a surf trip are, of course, surf gear. I didn’t bring my board to Bali, but there are plenty of possibilities to get your surf gear in Bali. First, the board. Along the beach there are lots of men renting the boards. We rented a board for three weeks straight away, which is cheaper. And you have to bargain! But this mean for almost everything you buy in Bali. With lots of renters you can take your board for a certain amount of time to test every wave on the island and all you have to do is let is be waxed ones in a while. It is very convenient to rent a motorbike as transportation with the surf board. You can take the board on the side of the motorbike! To rent a motorbike is cheap and easy! You can buy your petrol alongside the road, but that is just a bit more expensive than buying it at the petrol station – but still very cheap! 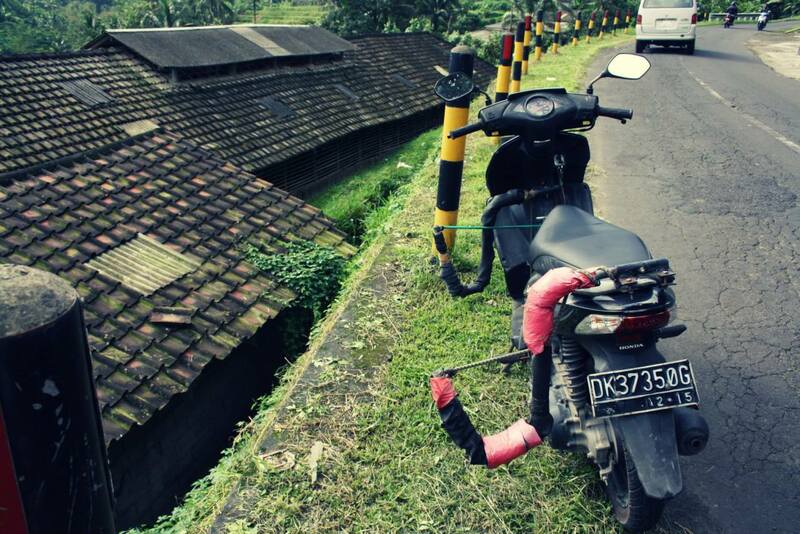 If you have an accident or your bike doesn’t work anymore, ask a local to fix it! We had a flat tire and could let it be fixed a hundred metres down the road! Besides your board and transportation, there are a few important things as well: you don’t need a wetsuit! You can surf in your board shorts, but you should protect yourself from the sun! Wear a shirt of lycra (surf shirt) when you enter the water, this is also good for the rash. But you should wear good sun block as well! I always find Island Tribe suncream very good! Furthermore the reef can be quite sharp at some spots, so it’s good to wear surf shoes. 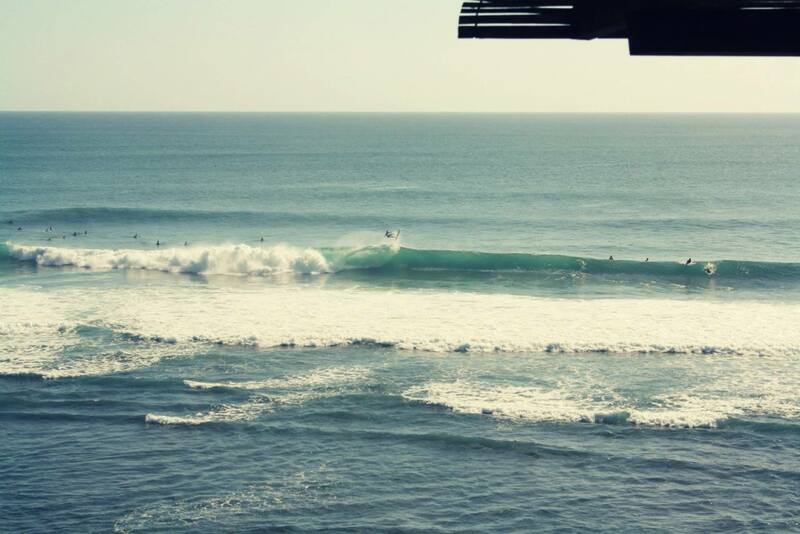 I will tell you more about these surf spots in the next blog! 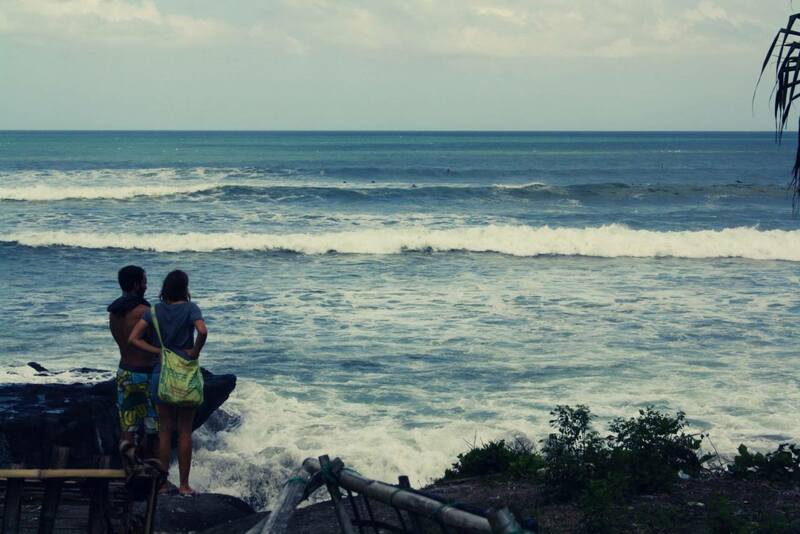 On “beginner friendly” spots (like Tugu beach close to Canggu) you can take surf lessons. The locals are teaching the lessons and know exactly on which spot to start and can tell what to look out for. I had surf lessons in France as well and already knew the basics. But when you start surfing it’s probably the best to take some lessons first; saves you a lot of trouble!